Hailey Baldwin, Rowan Blanchard, & Kiersey Clemons Look Cool at the H&M Conscious Exclusive Dinner! | Ahna O'Reilly, Daisy Clementine Smith, Hailey Baldwin, Kiersey Clemons, Lucky Blue Smith, Pyper America Smith, Rowan Blanchard, Stormi Bree | Just Jared Jr.
Hailey Baldwin, Rowan Blanchard, & Kiersey Clemons Look Cool at the H&M Conscious Exclusive Dinner! Rowan Blanchard rocks some awesome eye makeup as she arrives at the H&M Conscious Exclusive Dinner on Tuesday night (March 28) at the Smog Shoppe venue in Los Angeles. 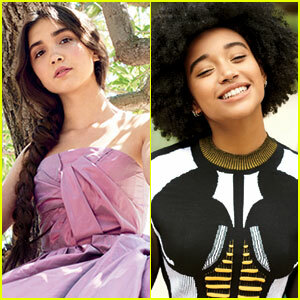 The 15-year-old Girl Meets World actress was joined by actresses Kiersey Clemons and Ahna O’Reilly along with model Hailey Baldwin at the dinner. Also spotted arriving at the event was model Lucky Blue Smith – who hit the red carpet with his pregnant girlfriend Stormi Bree and his sisters Daisy Clementine and Pyper America Smith. FYI: Rowan is wearing Levi’s jeans. Lucky Blue Smith & The Atomics Drop New Lyric Video for 'Voulez Vous' - Watch Now! 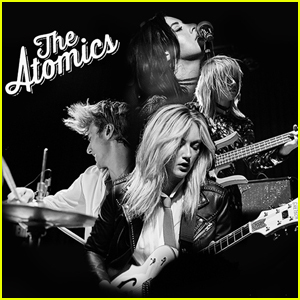 The Atomics Release New Song 'Voulez Vous' - Listen Now!